Our family is planning something big and I wanted to let you in on it today. We are planning our very first trip to Disney World! This is something we’ve been talking about for years and it’s finally happening! If you’re in the same boat, you’re in the right place. Join me as I share 10 Tips to Prepare for Your Family’s First Trip to Disney World! I think the biggest challenge for us was finding the right time of year to schedule our trip. Josh and I were going back and forth about whether or not to pull the kids out of school, take the trip with friends or on our own, stay onsite or offsite, etc. I’m happy to say after some research and counsel from our travel agent we’ve decided to go to Disney World at the end of September with some of our closest friends and their kids. Dane will be almost 8-years-old, Cora will turn 5 while on our trip. We’re staying onsite at the Beach Club Resort for four nights and then we’re boarding the Disney Dream for a 4-night cruise immediately following the land portion of our trip. So, now that we’ve picked dates and locked in our resort and cruise, what happens between now and then? We’ve enlisted a travel planner to help with the details of our itinerary, including rides/attractions and meal planning and I look forward to working with her to create the most special trip our family has ever taken. And I think that serves as a wonderful precursor to where this list begins. . .
1. Partner with a Disney expert when planning your trip. Take full advantage of a travel planner like Key to the World Travel for planning your family’s vacation to Disney. Using an authorized Disney vacation planner not only saves you time and money, but can save your sanity as well.Authorized Disney planners know the ins and outs of the parks and will customize your family’s trip to your specific needs. Let THEM answer your questions on whether or not to stay onsite, which resort to choose, how to schedule your days, what kind of discounts you may qualify for, whether to purchase insurance, etc.There are so many details that go into a trip like this, so if you want to make the most out of your days and navigate your way around the parks easily during your vacation, rely on the expertise of a Disney vacation planner. You’re investing a lot in this trip. . .so make it amazing by choosing a great partner. 2. Don’t forget to do your own research. Even if you decide to partner with an authorized Disney planner and let them take the lead on the planning, scheduling and booking, it doesn’t mean that you shouldn’t do your own research as well. Heck, to me, that’s part of the fun. I look forward to planning trips for our family and am very interested in the details and having some background on the hotels, attractions and areas we’re going to be visiting. I immerse myself into hours upon hours of research for the major trips we take.I bet you’re saying, “If you love it so much, why do you need an authorized Disney planner’s help?” Well, for one thing, I haven’t been to Disney World in years and although I’ll have a lot of knowledge through the reading I’m doing on my own, nothing can take the place of the assistance from someone who has planned hundreds upon hundreds of Disney trips for families just like mine.I’m all about having a good partner I can bounce ideas off of. It’s important to me to know that I had a hand in planning my family’s trip, however, so some of my favorite resources I’ve found so far are The Unofficial Guide to Walt Disney World, a podcast called WDW Prep To Go (love, love Shannon) and just browsing around Pinterest, where I’ve started my own Disney World board. Just a note about Shannon’s WDW Prep To Go: I’ve become addicted to listening to Shannon’s podcast and am working my way through all of her episodes every day as I drive the kids to school. I plan to go through and listen to a short list of some of them twice and then, as the trip gets closer, I’ll go through AGAIN and take important notes. Shannon also has a website that’s a gold mine to everything Disney World. She is so down-to-earth and easy to listen to. Her information is so helpful and probably the most valuable resource I’ve found for helping plan our trip and educate us on all things Disney. 3. Involve your family in the planning. I know there are a lot of parents out there who have big plans to surprise their children with a Disney World vacation. I know some who have kept it a secret until the night before. Whatever you decide to do for your family is completely fine, but for my kids, I knew that a big reveal too close to the trip wasn’t a good idea.I wanted my kids involved in the planning. It was important to me that Josh and I talk to them and get their opinions on what they wanted to do. This trip is focused on them, so it only made sense that the itinerary included input from them as well. 4. Make it real and count it down. Use a calendar to help count down the days until your trip to give your kids a visual of how quickly the trip is approaching. Countdown calendars generate even more excitement around the trip and can provide little ones a “real” reminder that something really special is coming. There are a ton of fun countdown calendars on Etsy and Amazon like this one. Most of them start at about 60 days out. If your family enjoys projects and crafts you could always design and create your own! 5. Plan for being gone. Start thinking about what plans will need to be in place for when you’re gone. You may want to consider holding your mail until after you return home unless you have someone coming to check in on your house. Do you have pets? Who’s watching them? Do you have flowers and plants that will need to be watered while you are gone? Are you going on your trip during the school year? If so, make sure to connect with your child’s teacher to find out if there are any projects or schoolwork that will need some focus during your vacation. If there’s a way to work ahead, find that out, too! 6. Give your kids the opportunity to earn souvenir money before the trip. Plan for souvenir shopping before your vacation by awarding Disney dollars or gift cards on special occasions like birthday, Easter, Christmas, etc., or helping them earn them through chores around the house. 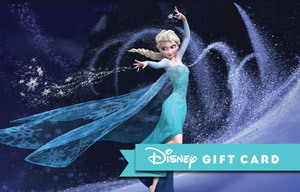 Disney gift cards are a great choice and can be used for almost anything Disney! Manage how much your child can spend at the parks each day by giving them a gift card for a certain amount. Most gift cards start at $25 and go up from there. 7. Start your packing list months before the actual trip. Do you think I’m crazy? Well, I am, but this tip is actually a really smart one. Purchases before trips can add up. We’ve all had those Walmart or Target store runs before a trip that can add up to hundreds of dollars. It’s all of those last minute things like sunscreen, Dramamine, a new camera, etc. that drain our accounts before we even leave on the actual trip. 8. Get your family in tip top shape. So, if you thought I was crazy with my last tip, this one may send you over the edge, but if I didn’t think it was important, I wouldn’t be sharing it with you. Let me put the size of Disney World into perspective for you. It’s over 25,000 acres. If you’re wondering how many miles that is, it’s about 40 square miles. If these numbers still aren’t hitting home, Disney World is the same size as the city of San Francisco, CA. You will be walking around this massive property every day of your trip! That means, if you’ve been putting off exercise for awhile, this may be just the thing you need to get you started. Go on family walks, take bike rides, park further away in parking lots, take the stairs, etc.This is especially important for younger children. If you have preschoolers that haven’t been in strollers for a year or two, you may want to consider renting one for your trip to Disney. My daughter, Cora, will be turning 5-years-old the month we’re leaving on our trip, and even though she hasn’t been in a stroller in almost two years, I will be renting one for this trip. 9. Give your family a sneak peek of what they have to look forward to. Get the kids REALLY excited for this trip by giving them a peek into what Disney World is all about. I’ve been recording Disney World shows on Tivo and talking to them about some of the fun things they’re going to get to see and do at the parks. Today, there are so many resources available at your fingertips! Have Disney movie marathons to introduce them to the characters they’ll see while at the parks and use YouTube to give them a taste of some of the most popular rides at the Disney Parks! I promise you that this won’t ruin the thrill of the actual moment. Everything is going to just be that much bigger and better while at the parks in-person.If anything, it will just offer your kids some familiarity with some of the attractions before they get there. Don’t be surprised if you see them pointing to things and yelling, “Remember this ride! That’s one of the ones we watched!” Imagine their excitement standing in line waiting to ride it for real. 10. Prepare for trip withdrawal. If you’ve ever planned any major trip, you may be familiar with trip withdrawal. It’s what happens after a long-awaited trip you spent months and months planning, is now. . .over. Even though you’ll probably be looking forward to getting back home, you may feel a bit of sadness or emptiness now that this major life event you been anticipating has ended.Try to offset these feelings with something else to look forward to. Maybe it’s the announcement of the next family trip, maybe it’s the beginning of a new school year, maybe it’s the arrival of a new furry family member, maybe it’s a party with some of your children’s closest friends. Giving your family something else to look forward to will lessen the blow of the end of the trip and make getting back to your “normal routine” much more tolerable. So, there you have it! 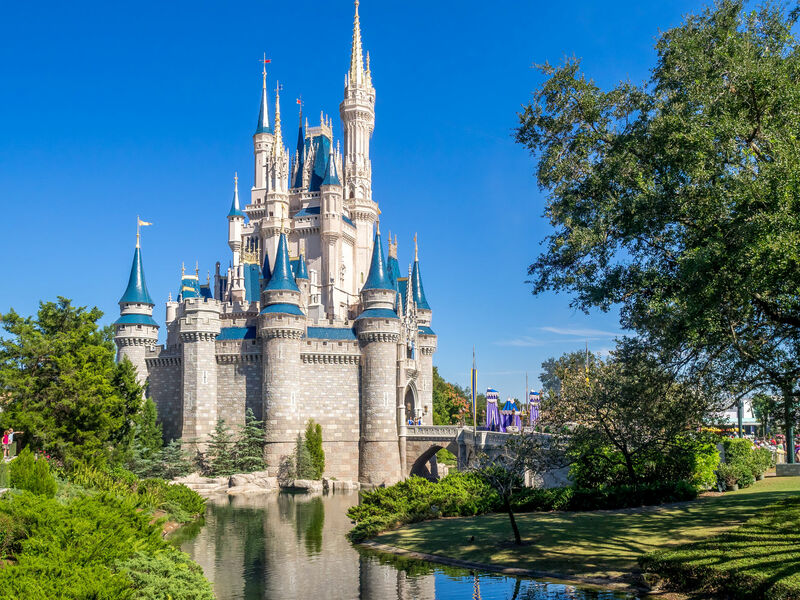 I hope these 10 tips for preparing for your family’s Disney World trip have been helpful and you’ve come away with at least one or two ideas or resources to help you in your planning. I’d love to hear a little about your family’s Disney trip in the comments and let me know which tip was your favorite! Yes yes yes what great tips, I would so love to be able to go to Disneyland or Disney World one day but not really on Tim’s to do list. We are hoping to go to Disney World in the near future as a family. I agree that it’s best to involve the kids in planning, instead of saving it for a big surprise. I would want to know what my kids want to do while there! Yes definitely! Involving the kids in the planning is really important in my opinion. It made me feel good to know we were doing the things they chose beforehand. I think it was really exciting for them to see all the attractions come to life in person after months of just looking at pictures and watching videos! Hope you have a wonderful trip, Aneatra! Recently I make a plan about Disney world trip with my family an this is my first time Disney world trip. Which time is the best for Disney world trip? I really tensed about this. But your content really gives me great ideas about easy trips planning. Our favorite time to visit Disney is late September/early October!